Notes: Up to five parking spaces are available close to Brownrigg Farm which is conveniently placed between Great Mell Fell and Little Mell Fell. 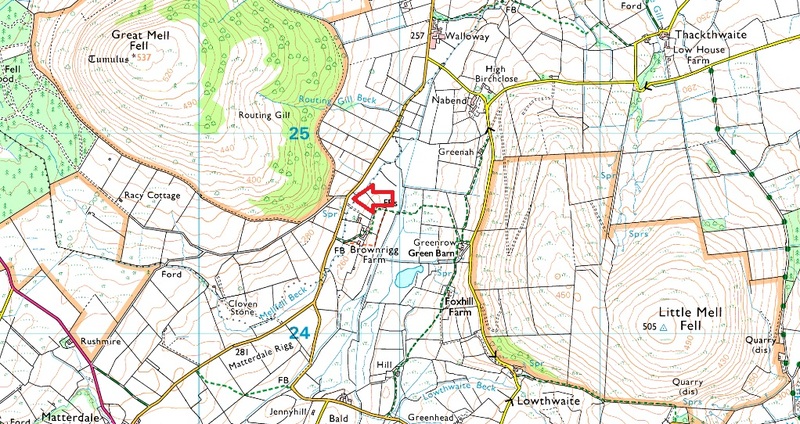 The parking spaces can be found on the right if travelling from the direction of the A66 just prior to reaching Brownrigg Farm. Parking is free.